Costumes, Wigs, Makeup, Oh My! USITT19 is bringing you fashion shows galore. This year’s Costume Stage is our biggest yet and promises not to disappoint with six companies providing wardrobe, makeup, wigs, and shoes to be displayed on models during four different fashion shows throughout the Conference. Located on the outskirts of the Expo floor surrounded by makeup and costume exhibitors, this stage will provide constant entertainment in the form of fashion shows, micro sessions, and demos. 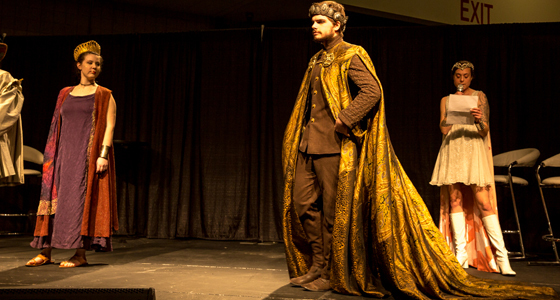 Meet the exhibitors who will provide the magic that will grace the Costume Stage in Louisville. Plan your time wisely around the schedule below to attend some or all of these shows, or simply stop by while walking the Expo floor to get in on the action. Seating will be provided and will be accessible to all. Information provided below comes directly from the individual companies. USITT does not provide commercial endorsement. Thursday, 12 – 1 p.m. Whether you are looking for costumes for your upcoming production, film, or getting ready for a party, we have the country’s most outstanding collection of rental costumes available! Our staff, with over 60 years of experience, constantly renders new designs that are fresh, exciting, and appropriate, and are offered in the widest possible range of sizes. Because our extensive inventory covers all periods in costume history, we have costumes for virtually any show or themed party. When you order from Norcostco, your costumes are professionally selected from our extensive stock of costumes that are made in the USA. Pulling, alterations, dry-cleaning, restocking, and accessories are all included in the rental package. Visit www.norcostco.com to request a free costume plot, or contact us at costumesmn@norcostco.com to connect with one of our rental sales representatives. Thursday, 4 – 5 p.m.
See beautiful reproduction stays, corsets, and shoes on display as models strut their stuff on the Costume Stage. This fashion show will present women’s underpinnings, corsetry, footwear, and hairstyles from the 16th to 20th centuries. This will be the very first chance to see the new American Duchess Theatrical footwear line in action. This show is a great opportunity to see what lies beneath the changing historical silhouette, and why proper underpinnings, footwear, and hair are important for creating a historical look. Friday, 12 – 1 p.m.
MSMT Costumes is the costume rentals division of Maine State Music Theatre in Brunswick, Maine, and we rent costume packages for musical theatre to any organization throughout North America. Our packages portray the iconic feel for many well-loved and popular musicals, and they are well made, maintained, and ready for fittings/alterations. We’re pleased to have the opportunity to share a small sampling of costumes from our packages during the USITT Costume Stage 2019. 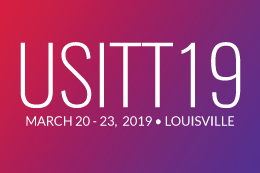 We’re more than happy to share more information with you about our packages while you’re at USITT19. Come visit us at booth #212. We’ve got you covered! Find them online here. Friday, 4 – 5 p.m. Since 2004, the exquisite costumes created by the Oregon Shakespeare Festival’s talented professional artisans have been available for professional use through OSF Costume Rentals. We offer a wide variety of costumes, accessories, and footwear in many different styles and periods, from Roman to Modern and beyond, featuring an extensive selection of Medieval and Renaissance costumes. Our collection includes costumes by some of today’s most notable designers, including Mara Blumenfeld, Linda Cho, Deborah M. Dryden, Helen Huang, Linda Roethke, Susan Tsu, Shigeru Yaji, and Anita Yavich. The OSF Costume Rentals’ fast and friendly staff will help you find what you need for your next production or film. We pull orders for our out-of-town customers and ship anywhere in the country, so you do not need to come to our facility in person in order to rent. Weekly and production rentals are available to television, film, photography, and for-profit professional theaters. Discounted production rates are available to schools, nonprofit theaters, regional theaters, and nonprofit organizations. We now offer a design service. Not sure what you want or need? Let the Rentals staff help with you all design decisions. In addition, another great option is a show package. Our most notable shows Beauty and the Beast, Into the Woods, The Wiz, and more are now available in a complete package. Let us help bring your stage to life. Find them online here.